The Watoto Children’s Choir traveling from Africa kicked-off their six month U.S tour in Tomball, TX on Sunday January 13, 2013 and are continuing their tour through Dexter, Monroe, Sterling Heights, Fenton, Brighton, Saginaw, Muskegon, Grand Rapids, Holland, Sparta, Portage and Sturgis from June 12, 2013 through June 27, 2013. Exact locations and times of the performances entitled Beautiful Africa: A New Generation can be found at the end of this release. All performances are free and open to the public. The Watoto Children’s Choir acts as Watoto ambassadors to raise awareness about the plight of the orphaned and vulnerable children of Africa. Watoto is a holistic child-care solution initiated to serve the dire needs of Africa and her people. Each of the children in the choir has suffered the loss of one or both parents. They live in Watoto Children’s Villages where they receive the care and nurture they need to grow up as productive citizens of their own country. “Through the choir’s Concert of Hope, we share a message of transformation by telling the story of Africa’s rescued orphans and women. We hope to reach out to audiences with the message of Christ’s healing power,” says Gary Skinner Watoto Founder. With its genuine appeal, accompanied by music and dance – an energetic fusion of contemporary gospel and traditional African rhythm – the globally acclaimed Watoto Children’s Choirs has traveled internationally since 1994 as ambassadors for the millions of children in Africa, orphaned as a result of HIV/AIDS, war and poverty. Since its inception, 60 choirs have traveled globally, providing the children with a bigger worldview, an unusual opportunity they would otherwise never get. The choirs have been to Australia, Brazil, China, Europe, Hong Kong, Japan, Germany, France and the U.S, among others. Their audiences have included royalty, presidents, ministers, and the ordinary person, capturing many hearts wherever they go. Watoto is a holistic care solution providing for the physical, emotional, medical, spiritual and academic needs of children in Africa. Watoto was initiated as a response to the overwhelming number of orphaned children and vulnerable women in Africa. It is positioned to rescue an individual, raise each one as a leader in their chosen sphere of life so that they in turn will rebuild their nations. Accompanied by a team of adults, the choir presents Watoto’s vision and mission through their stories, music and dance. 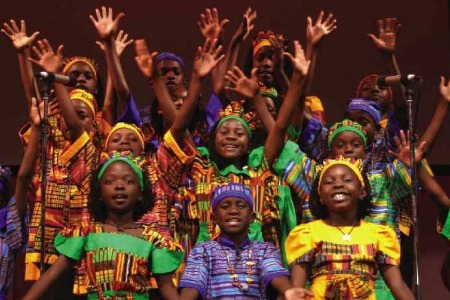 Watoto choirs act as ambassadors to raise awareness about the plight of the orphaned and vulnerable children of Africa.